It was Ab Jenkins who popularized the vast Salt Flats as a place to run for speed records. In the words of Captain George E.T. 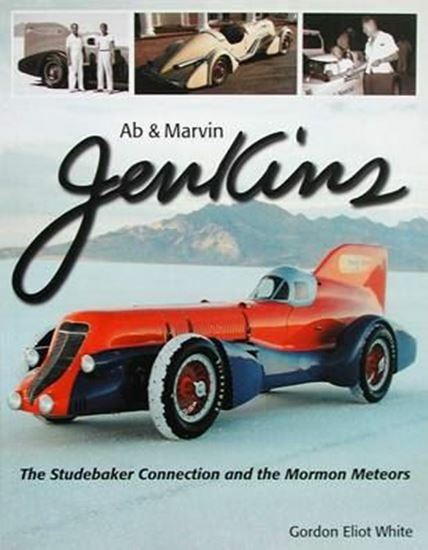 Eyston, “he is the man who made competition at Bonneville possible.” Jenkins was the first man to run for accepted records at Bonneville in 1933, and he succeeded both in attracting the British record-setters to the Salt Flats and set and broke more American and international speed marks there than any man in history. Many of those records still stand in 2006, half a century after his death. His son, Marvin, grew up with his father’s zest for speed. Marvin set an unofficial speed record as a youngster, helped Bud Windfield and Lewis Welsch build the fabulous Novi Indianapolis cars, worked on the Novi team at Indianapolis and drove the Novi to class speed records at Bonneville. This then is the story of two men, father and son, their racing cars, their lives and the salt flats where they ran their most famous trials.